McArthurGlen Group, the leading developer, owner and manager of designer outlet villages in Europe, is expected to use infrared people counting systems from Irisys in its new developments. The announcement follows the Group’s successful implementations of Irisys people counters in McArthurGlen Designer Outlets in Italy, the Netherlands, Austria, Germany and, most recently, Greece, using a range of solution providers. Designer Outlets are a rapidly growing retail phenomenon. McArthurGlen Group, which has 20 Designer Outlets across Europe, works with the leading brand names in luxury and designer fashion to create high-quality, high-traffic destinations. With all-year-round discounts of 30-70 per cent, these attract more than 75 million customers a year. People counting systems enable managers to accurately count the number of shoppers in each location. Infrared counters, which sense body heat, are very accurate - yet entirely non-intrusive. Adam Brown is Applications Development Manager at McArthurGlen. “The availability of accurate and reliable footfall data is very important to retail managers, facilities managers, marketing managers, head office and, most importantly, investors,” he explained. “Footfall data helps investors to maximise the value of an asset. It does this by providing key performance indicators for use at board level, as well as by country, centre, marketing, retail and facilities managers. The IT department at McArthurGlen is charged with ensuring this data is accurate and the Irisys system has helped us to do that. 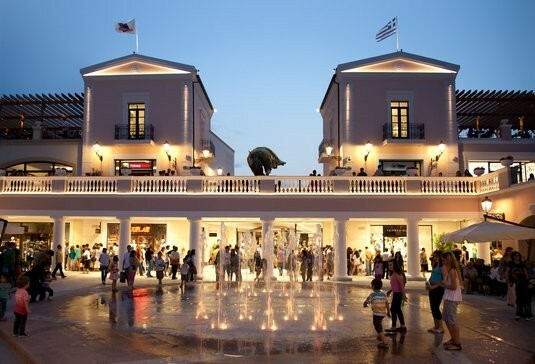 “In our newest outlet, McArthurGlen Designer Outlet Athens, Irisys sensors are used to count visitors entering and leaving via entry points such as stairwells and lifts from the car parks and pathways through outdoor sculptured gardens. The centre, Greece’s first designer village, opened in 2011. Offering more than 21,000 sq m of retail, it is just 30 minutes’ drive from the centre of Athens and 20 minutes from Athens international airport. David Hume, Business Development Director at Irisys said: “We’re delighted that, after extensive testing, McArthurGlen has again chosen our infrared people counters. It’s another example of a long term relationship with the clear leader in the market”. Irisys people counters will be installed in at least three more McArthurGlen planned outlet developments.